The frenetic pace of life in Mumbai always makes us seek short cuts. Of convenience, I mean. So when I learnt about Tastykhana, where you can order your food online and choose from a plethora of restaurants according to the cuisine you want, I was excited beyond words. 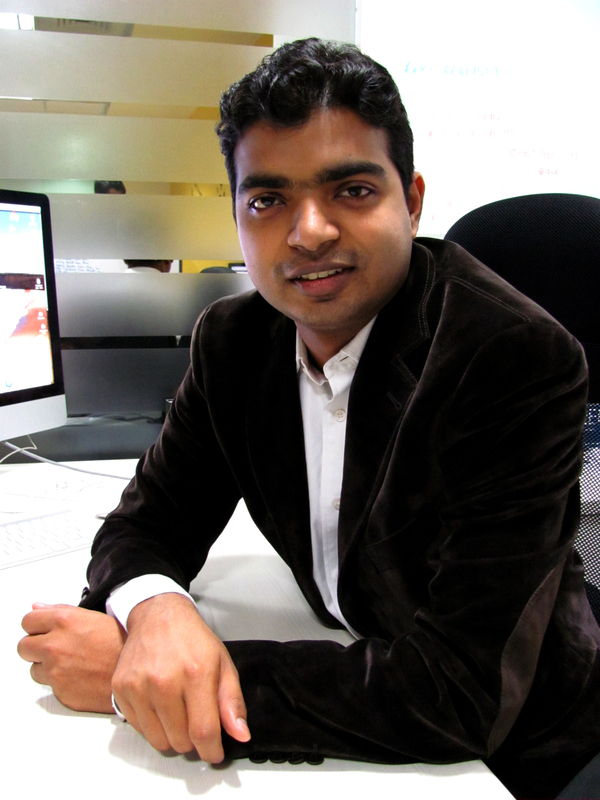 Shachin Bharadwaj’s brainchild, TastyKhana, is an online food service giving users the convenience of choosing a restaurant in their area and selecting their preferred meal items by browsing through the menus on the TastyKhana website and placing the order online for delivery to the desired location. The orders can be paid for through cash on delivery or through online payments or by accumulating the online Trinket account, the virtual wallet that is created for every customer for their payment convenience. The service is accessible through web, tablet or mobile apps for iOS, Android and Blackberry. It first started its operation in Pune, by Pune based computer engineer Shachin Bharadwaj and his software engineer friend and colleague Sheldon D’souza.. In November 2011 TastyKhana signed a partnership with Delivery Hero. This partnership lead to expansions in TastyKhana operations in Mumbai in April 2012, Bangalore in September 2012, Delhi in January 2013, Gurgaon in February 2013 and Noida, Faridabad and Ghaziabad in May/June 2013. I enjoyed myself navigating through the website and going though menus of several restaurants. While the variety is sufficient, perhaps one can do with a few more. Bigger names maybe? I zeroed in on Indian cuisine and settled for Moti Mahal. Shachin told me that they have catered to 200,000+ customers, which I thought was phenomenal. I placed my order with ease and immediately received a mail on my registered id. Closer to the delivery time, I received an email confirmation and a polite call from TastyKhana, assuring me that my order would be executed on time. And on time it was. 8.25 pm my doorbell rang and my dinner from Moti Mahal had arrived. The entire experience was convenience personified. Convenience of – choice, online payment, 24/7 ordering, advance orders, access to the entire menu to plan your meal, filtering and sorting options to identify restaurants as per your preference, avoiding typical phone ordering problems (engaged lines, unresponsive customer care, etc). What’s more, one’s mind is at rest as one is assured of the quality of service. “Our orders are backed by our True Kare guarantees, wherein we are responsible for all your problems and you don’t have to run after restaurants for any issues,” Shachin declared with justifiable pride. It was followed by a personal call next day to find out about my first time experience. TastyKhana is a real boon to us busy people in Mumbai. Can’t wait to order my next meal! You too could log onto TastyKhana.com and sit back and relax. It was one of those weeks where I attended two Master classes by Master Chefs. But there was a world of difference in the learning outcomes of both. In the first one conducted by Chef Christopher Koetke, Vice President, Kendall College – School of Culinary Arts, Chicago, at Taj Mumbai, information and learning, was the cornerstone of the entire session, apart from being an interactive and enjoyable one. And yes, there was gourmet satisfaction too. Chef Koetke, in fact jokingly remarked that he had compressed two years of culinary school syllabus for us in those two hours. And he was not far from the truth, as we did learn a lot. He acquainted us with knives and the art of cutting and chopping, butchery, how to make sauces, and of course Duck breasts, chartreuse of braised duck, and chow chow. What’s more, we learnt about wild rice and maple syrup too. So engrossing was the session that I almost felt like enrolling myself in the Kendall College, school of culinary arts, one of the premier culinary-training programs in the USA. The second one, The Magnum Master class, I daresay, was a tad disappointing as we learnt nothing, but merely indulged in mindless banter and futile conversation. Nothing substantial was imparted to us, participants. Considering it was conducted by Master Chef Kunal Kapur, I was hugely let down. More so, since one had braved rains and heavy traffic and made it to the venue. But I reallised it had nothing to do with Chef Kunal’s ability or calibre, but the poor structure and agenda of the Master class itself. Initially with three types of chocolate samples placed on our tables, I was hopeful that we would learn more about those and be taught to distinguish among those perhaps in terms of flavour, texture etc . Apart from being told about the percentage of cocoa in Belgian chocolate, nothing much was communicated to us. Of course there were uncalled for remarks galore by the giggly hostess. Next we were told were going to learn how to make a sundae with Magnum, but hey presto Chef Kunal did a quickie with that too and we were then asked to make some sundaes ourselves in groups. Perfect, I thought. But after we finished, a somewhat enjoyable exercise, I thought the Master Chef himself would comment, give us tips, point out ways of bettering it. But nah! It was all over. We were done for the day. What had we learnt? Absolutely nothing. If it was meant to be a fun afternoon and I was clearly told so, no complaints, but c’mon don’t call it a Master Class. This made me reminisce about a coffee workshop with Phillips conducted by Kalyan Karmakar which we had enjoyed so much and learnt from as well. 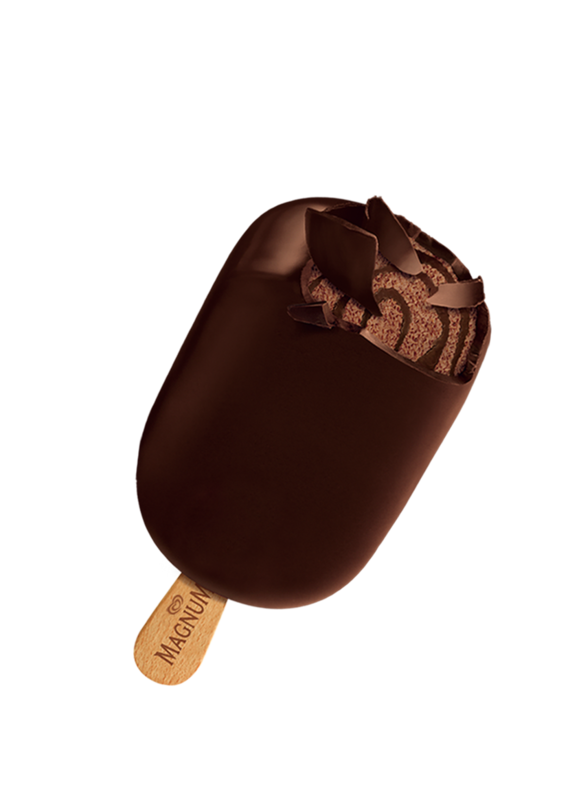 The only bright side to that otherwise boring afternoon, was sampling the Magnum. Not that one was unfamiliar with it. The first crack, made me nostalgic about the time when I had first tasted one in Dubai, several moons ago. But now, the world’s most famous premium ice cream on-a-stick is available in three delicious flavours – Classic, Almond and Chocolate Truffle in Mumbai, Bangalore, Hyderabad and Bengaluru wrapped in the brand’s signature brown and golden packing. Priced at Rs.85, I think it is affordable, considering it is decadent Belgian chocolate all the way. 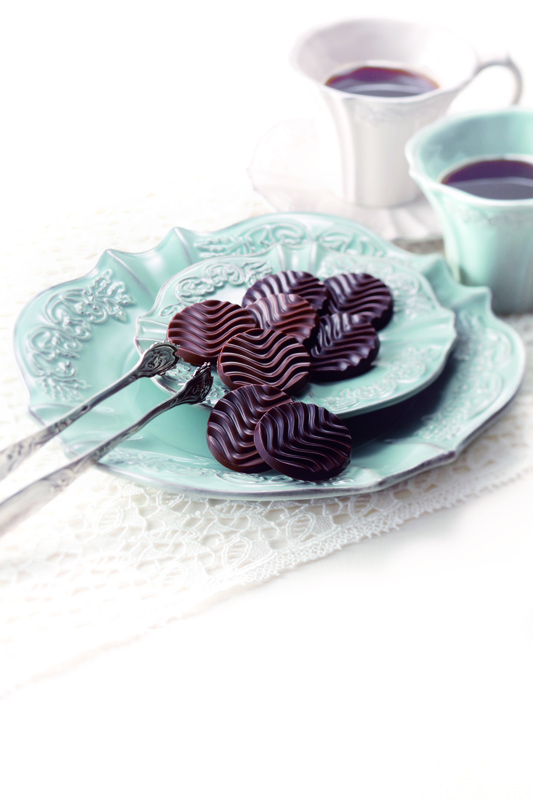 ROYCE’ Chocolate recently launched its second retail space at the Bombay Baking Company, JW Marriott Mumbai. It is a haven for chocolate lovers. There are decadent chocolates, for every palate The first-of-its-kind chocolate pairing menu, was launched, of which, I was lucky to get a sneak preview. And wow it was, to say the least. The fruity, citrus flavour of Twinings 2nd Flush Darjeeling Tea when paired with Royce Pure Chocolate “Venezuela Bitter” was the perfect harmony between bitter and sweet. The contrast in the two flavours was so evident on the palate and yet, they complimented each other. Next came the ROYCE’ Baton “Hazel Cacao” Cookies with espresso. No chance of going wrong here. Coffee and chocolate are old friends. The acid-bitter balance and an aromatic blend of coffee and cocoa swept me off my feet. Our next stop was the Reflections Bar. There we relished the chocolate-based cocktails such as Chocolate D’zire, a sweet concoction of Chocolate Syrup, Vodka and Amaretto served in a martini glass with a piece of melt in the mouth ROYCE’ Nama “Mild Cacao” as well as the Singleton “18” single malt, paired with ROYCE’ “Criollo Bitter”, the worlds rarest cacao bean. The complex and distinctive flavours of the Criollo were balanced perfectly, by the subtle fruity notes of the Singleton 18. A winning combination again! Executive Chef Himanshu Taneja painstakingly explained the pairings as did the ROYCE’ team. The brand’s unique Japanese identity and its focus on quality, intricacy and innovation was experienced through and through that evening. 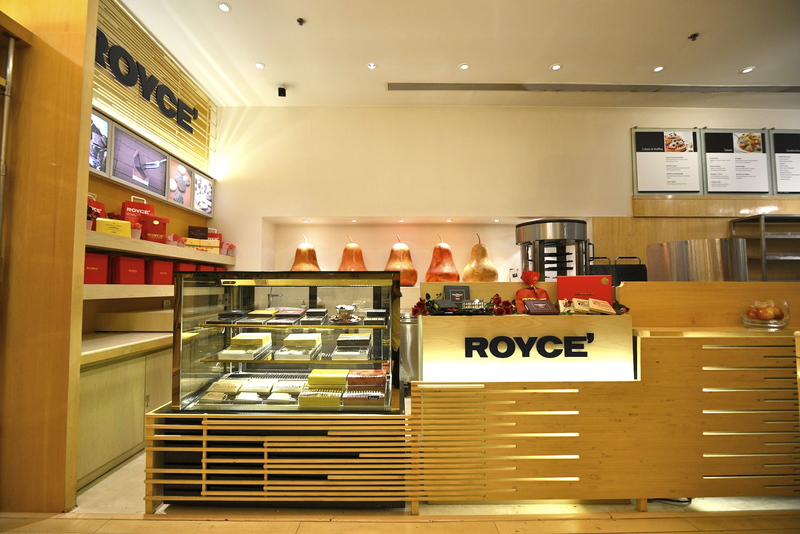 ROYCE’ was launched in India in July 2013 with a flagship store at Palladium, Lower Parel, Mumbai. Burgundy Hospitality, a first-of-its-kind fine foods and luxury gourmet venture by Avani Raheja and Samir Gadhok, is the partner for this unique brand of artisanal chocolates in India. Way to go guys! And the chain continues to wow our palates. Yes, Rahul Akerkar and his team have done it again. With the 6th Indigo Deli opening at the Inorbit Mall Malad, many of us can look forward to savouring the delectable food this brand offers more often now as it is closer home. The cheer and vibrant atmosphere struck me as we entered, Buzzing with activity, the place was teeming with people. Seated comfortably, on the wooden tables, my roasted sweet potato soup arrived a tad late but was worth the wait. Creamy and well flavoured, it teased my taste buds. Carbonara Pizza with ham and bacon, had a delicious topping with liberal amount of cheese, but the wafer thin crust was not to my palate. Too thin for my liking. One can never tire of the Deli salad replete with eggs, salmon, ham et al. It is so crunchy and fresh. The Roast chicken my friend tried, was done to perfection and the sauce complimented it as well. Mashed potatoes were thrown in for good measure for the carbs component. I relished my pan seared Halibut with a mustard mash. Tangy, the fish was of a nice texture and simply melt in my mouth. My hot toddy sans alcohol kept my throats and spirits high. It was well made just to my taste. cheers! The tiramisu I daresay was extremely disappointing. With oodles of cream instead of the customary mascarpone cheese, it was overpowered by the coffee flavour. The croissant bread pudding, our next choice, was delightful, with the right element of moistness in it. The whisky added the quota of zing to it. A treat for the taste buds. Originally conceptualized by Founder and Managing Director, Rahul Akerkar & Executive Chef Jaydeep Mukherjee, the menu has a plethora of options. 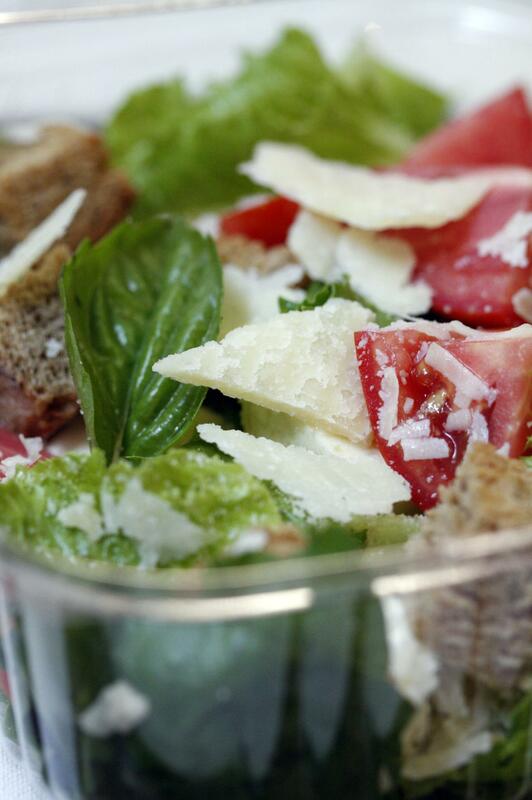 The much-loved burgers and sandwiches, crispy wafer thin pizzas, seasonal soups and salads are all there. All-time favorites like the Pulled Pork Burger, Bombay Chicken Wings, Eggs Divinity, Philly Cheese Steak Sandwich, Chorizo Pizza will continue to be seen on the menu. 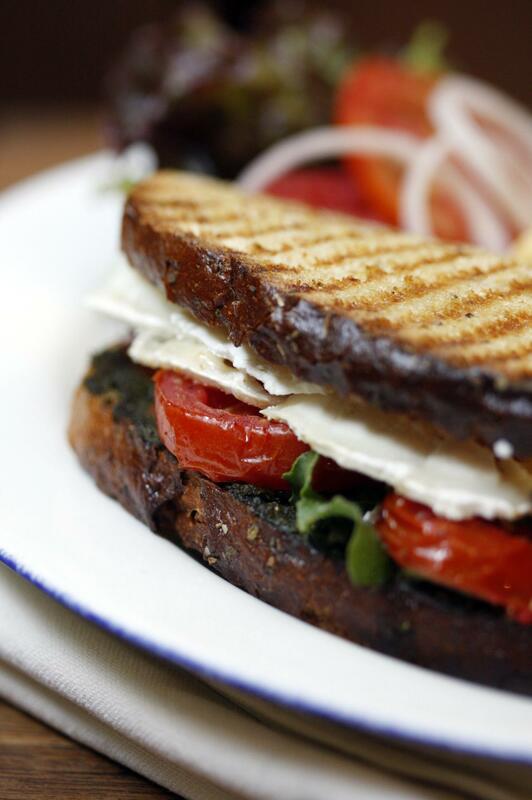 The Deli shop is an additional reason to visit this place. Well, there are several reasons to go back. The delectable food being the biggest. The service needs to be stepped up a bit, but it is the first few days, so we are not complaining. way to go Indi go! !